At Esper Aiello Law Group, we care about people above all else. With nearly 150 collective years of legal service, each and every member of the Esper Aiello Law Group family has the necessary knowledge, passion, and experience needed to take on any case within our practice areas for any client. In order to ensure your success and help you get the outcome you deserve for your case, you need to seek out the most reliable advice from a legal representative you can trust. No matter what type of legal situation you currently find yourself in, we have a qualified and reputable attorney ready and eager to provide you with insightful advice and help you find the justice you’re searching for. 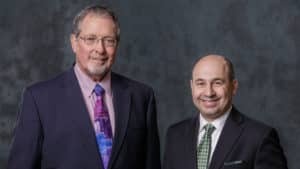 We specialize primarily in workers compensation and Social Security disability, though our talented team of professional attorneys each possesses the skills needed to assist you in almost any kind of legal predicament. Whether you find yourself injured and in desperate need of retribution in order to take care of your family, or a loved one becomes disabled and needs help receiving benefits, we’ve got you covered. By personally attending to each client’s specific needs, we are able to build a strong relationship with every person who walks into our office. Law can be a complicated field to navigate, and many clients are pleasantly surprised by what they find they actually deserve. Our goal is to meticulously review every detail of each case to get every client the best possible outcome. During one of the most stressful times in your life it can be hard to find someone you can trust to rely on, but at Esper Aiello Law Group our mission is to help you relax and recover, while we recover justice and compensation for you. Our well-trained staff is excited and motivated to start working on your case today! At Esper Aiello Law Group, we are undoubtedly the best because we have the most qualified attorneys and the most dedicated staff, we provide the most effective legal services, and we offer the most comprehensive support for all our clients. If you or someone you know is in need of any legal assistance, we encourage you to call us now at 313.964.4900 or fill out the form in the sidebar or on our contact page, to experience our superior legal services and learn how they can benefit you.